Recently a Movie was released "Salt" in which the famous actress Angelina Jolie was a Russian Spy. So what she was doing being a spy. 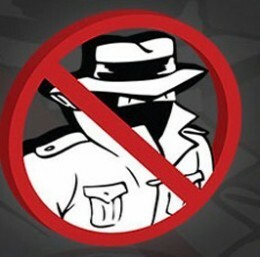 Spy, always gather's information about others which is for private use. They may use it for themselves that's why you have to keep such spy away. Now comes Spyware. You must have heard the term Spyware but have you tried to find out what it actually is and What sort of problem it can create. Most of you will give a answer No. Spyware is a Computer Software which Steals the Information from the user's content without user's knowledge and without permission. Now you know what a spyware is and what it does. Without your permission it can steal all your computer information and all other things that you will be doing on your computer. It's really dangerous if it steals some private content and pass it some body else through internet. Antispyware is a software which removes spyware's from your computer and makes you and your computer safe. Antispyware removal tool is really necessary for your computer to make it safe for ever. Spyware can create a havoc as they can steal every bit of data from the user's computer. There are many Anti-Spyware software are there in the market which you can buy or you can use it in the trial period. Some of them are really best and can tell you about any spyware which is creating problem with your computer. are top ten Anti spyware software which makes your computer safe and protected by removing spywares. So, these are best 10 antispywares available in the market which you can choose. All of them are capable of removing each and every spy from your computer. These antiSpywares have Large definitions database, easy-to-use interface, consistent updates, advanced rootkit protection and Some of them have free online and phone technical support. Keep all these things in mind while making a choice between these antispywares. Spyware is one of the problems you usually have in your computer. Get rid of them using this software. Thanks for sharing.